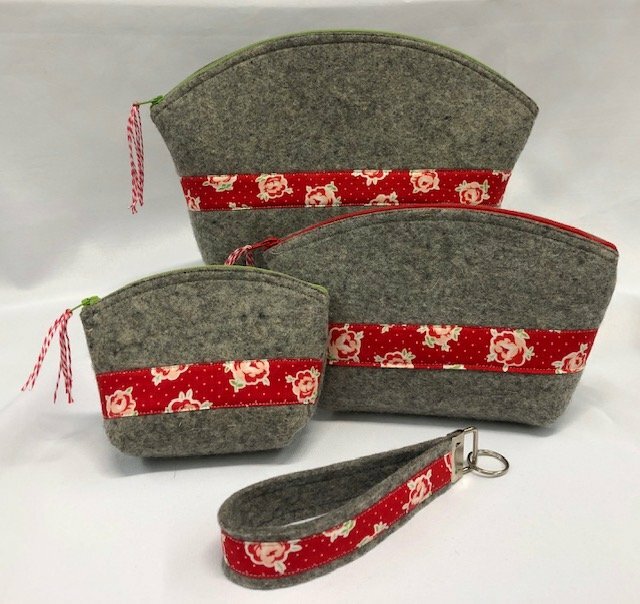 Wooly Wonder Accessories > Crazy for Clamshells Kit - 3 Sizes of precut pouches & pattern with templates included. Also included is the Key Fob. We love these wonderful Clamshell Pouches! Since the blanks are already cut to size for you, just pick out your zippers and embellishments and go to town.